Trade activities are one of the most important business activities in Dubai. This coastal city has always been an important location for international trade due to its strategic location. With advancement in business activities, trading opportunities have increased a lot. Now, there is also quite a huge market in Dubai for all types of products as there is a large expat population living in Dubai also. Whether you want to take advantage of the wealthy local market of Dubai or use the tax free incentives to re-export your product, it is necessary to acquire trading license in Dubai. This will mandatory to import, manufacture, distribute and re-export any product in Dubai. There are different types of trading licenses available in Dubai according to the type of product. The most famous among these is the general trading license. As the name suggests, general trading license deals with trade of most of the products that are used in any market. It is important if you want to start trading company in Dubai. There are specific licenses required for particular products. In case of Dubai, you will need special licenses for trade of products like medical equipment, alcohol, etc. But most of general items will be covered by general trading license. It is the reason that it is expensive as compared to other trading licenses but there is worth of its cost. Following are important advantages available for traders with this specific license. Getting general trading license allows traders to either import or manufacture all the goods mentioned in the license. After completing this process, these merchants can either distribute these products in the local profitable market of Dubai or export (manufactured goods) or re-export (imported goods) in country of their choice. These merchants can gain huge profit in this business by utilizing tax-free economy, cheap labor and other incentives provide by the government of Dubai. Most of the countries imply heavy taxes on import, manufacturing and selling of various products. It is one of the best incentives in Dubai and UAE that it is almost free from all types of taxes. It is also a case with trade of various goods that come under general trade license. Manufacturing of these products is possible in minimum possible cost. As several goods are in high demand in Dubai and other parts of world, so they can result in huge profit for traders. Apart from few specific products with restrictions or sensitive materials, almost all the goods allowed in Dubai are registered under general trading license. You will be able to trade large number of products under a single license. You will only pay high fees of this license just once and it will provide continuous benefits for years to come. The general trading license in Dubai is not only profitable, but also quite easy to attain. As compared to several other types of lengthy registration processes, you can get your trading license in just 1 week from DED after submitting required documents. After that, you can start your business in Dubai mainland, free zones or any other part of UAE. This license will also make things easier in future also. There is no need to submit auditing report in Dubai (and UAE) in case of general trading license. This will save traders from annual auditing nuisance. Another huge advantage for this trading license is that it makes easier for investors to apply visas for their employees as well as for their dependents. These traders can sponsor their dependents after which it becomes easier for them to acquire UAE visa. 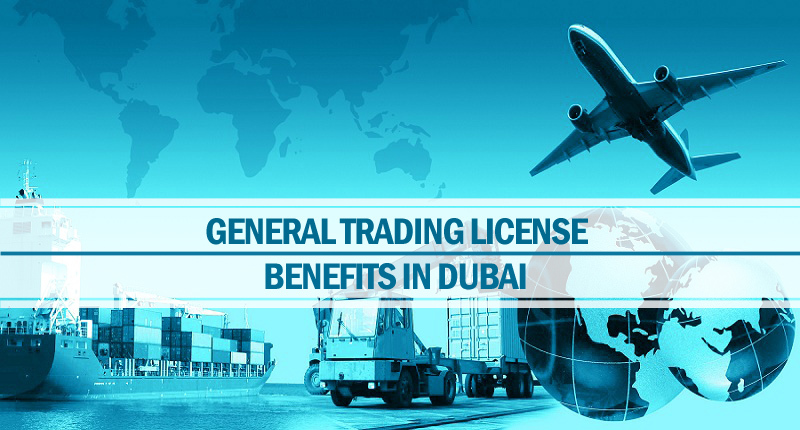 These are few of the several advantages available with general trading license in Dubai. The easiest way to apply for this license is by contacting Riz & Mona Consultancy. We will ensure the completion of whole process conveniently and in very short time. We have delivered this service several times to our number of satisfied clients. Our WhatsApp # is 971-56-9971225.